With the continuous fluctuations in ratings and Google being at its best form to update its algorithms after every few months, Search Engine Optimization or SEO is undoubtedly an extremely important tool and a tumultuous practice. A business or a brand can’t possibly stay ahead of its rivals if it doesn’t make the most if latest SEO tools. But, how will you use SEO tools and more importantly which SEO tools should you make the most of? With this being on our mind, we have created a list of brilliant SEOs that you can rely on in 2019 to grow your traffic at an enormous rate. The rate at which these SEO tools flood the online can often leave you confused. Check out our list regardless of the purpose you are looking to make the most of SEO tools. This is a highly advanced form of analytical tool that demonstrates a large number of features for you to use. It can cover the analysis of a whole website. From page result analysis to offering current information on the page it can do it all. You also get the chance to filter through your non-personalized searches. You wish to do keyword research, track rankings, and go through competitor analysis? Then, this is the tool for you. It will help you stay right on track and guide you in the right direction. This is another amazing website that will offer you with all the necessary information about a website. It is an incredible analytical tool that will keep you updated on Google Page rank, keyword density that is present in the content, and so on. You will also have the exact date when the specific website went online. If you are interested in a deeper and better analysis, then it offers you with an option called ‘diagnose’. 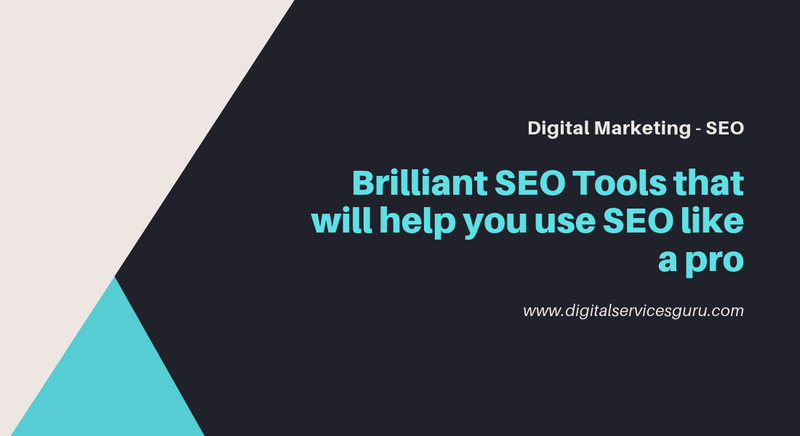 In the long list of best SEO tools, this is surely one that can’t be missed out. With the upgraded and expanded version, you can easily rely on this platform more and all throughout the year. The best part about SEMrush is the long list of incredible features that it is capable of offering you with. You can have the ‘Organic Research’ section for analyzing the rankings of your client’s keywords. You can discover new topics with ease while performing the keyword research and group similar keywords. This tool comes with an SEO checker. This is tool is a combination of advanced research features that is used for the purpose of administration and website analytics. Creating campaigns for different websites becomes easier with this tool. You can also perform the task of tracking traffic and modification. It is perfect for performing an efficient keyword research. These are the best SEO tools that will help you take care of different factors. You must make the most of them for a better ranking of your website.